Redlands, California—Modeling Electric Distribution with GIS, from Esri Press, illustrates how an electric utility can significantly improve operations by implementing a geographic information system (GIS). The book is a conceptualization based on author Bill Meehan's many years of experience with the electric industry. It tells the story of Ron, the new GIS manager at AnyTown Energy, and his evaluation of the legacy mapping procedures in use at his new company. Ron's job is to create a GIS model of the electric distribution network that will form the basis for implementing an enterprise GIS. Written in narrative style, the book's 12 chapters start with "From Legacy to Breakthrough," the very beginning of the implementation, and conclude with "Streamlined Workflows and the Full Power of GIS." The appendix features an informative section describing the basics of electricity, its history, and electric distribution equipment; a detailed electric utility glossary; and a comprehensive list of related books. 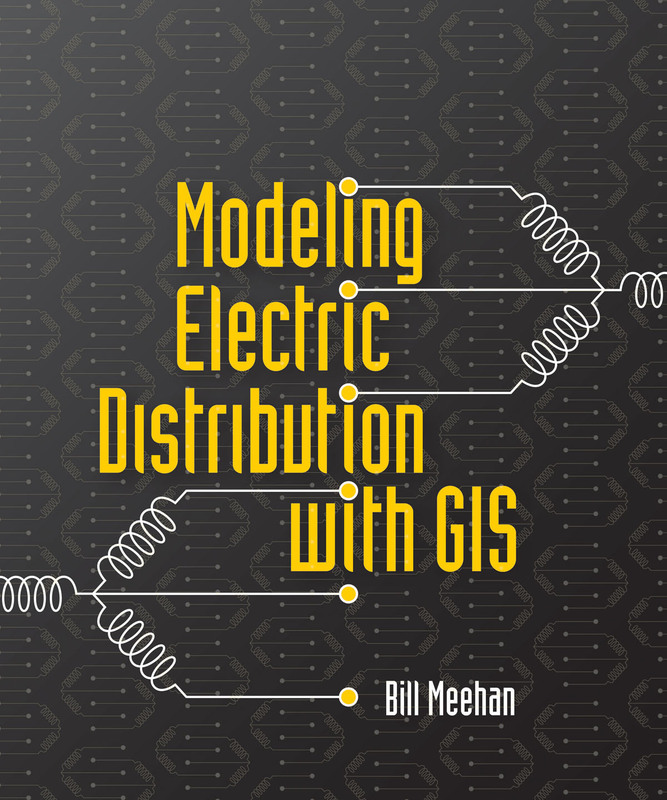 "This book follows Ron's journey of building and understanding enterprise GIS in the context of the electric utility business and of using it as more than a mapping system," writes Meehan. "Ron's intention is to model the behavior of the electric distribution network from both a technical and a business perspective." Meehan, PE, is the director of utility solutions at Esri and a former vice president of electric operations at a major electric and gas utility. He is also the author of Empowering Electric and Gas Utilities with GIS (Esri Press 2007). 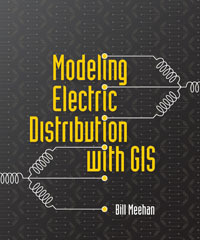 Modeling Electric Distribution with GIS (ISBN: 978-1-58948-241-8, 334 pages, US$42.95) is available at online retailers worldwide, at esri.com/esripress, or by calling 1-800-447-9778. Outside the United States, visit esri.com/esripressorders for complete ordering options, or visit esri.com/distributors to contact your local Esri distributor. Interested retailers can contact Esri Press book distributor Ingram Publisher Services.